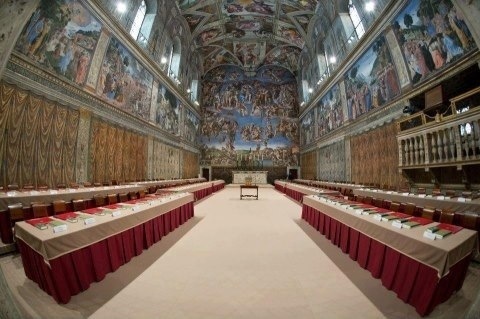 In just moments the procession of Cardinals from the beautiful Pauline Chapel into the Sistine Chapel will take place. They will be singing the Litany of the Saints, and the Veni Creator Spiritus. Let us join together with these men who are charged with this immense task and pray for the Holy Spirit to enlighten their mind.